There's never been a better time to become a Spartan. 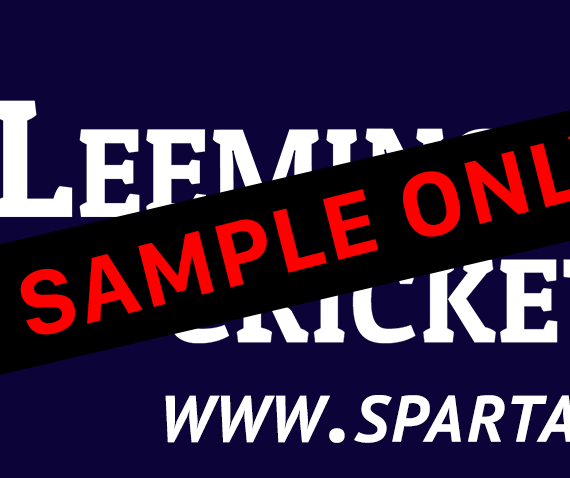 For the first time ever, Leeming Spartan Cricket Club membership is now available for purchase online! This Spartan Playing Membership entitles you to play every game (including finals) in the 2017/18 season, and provides a whole bunch of additional goodies as well! 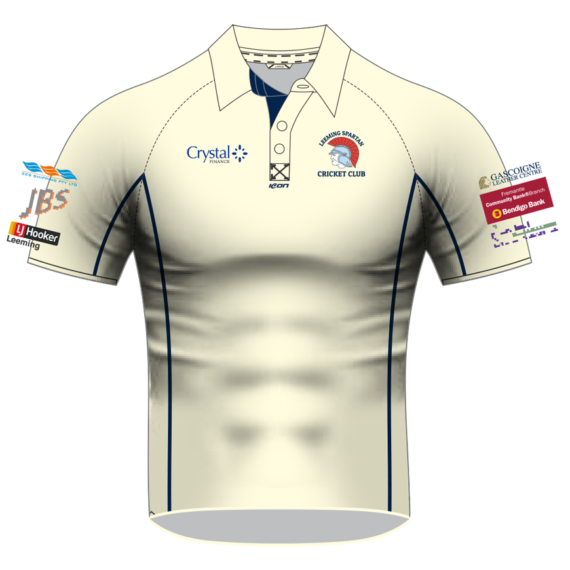 Please note that this is a required item for all who wish to become part of the Leeming Spartan Cricket Club. Never miss a moment. Ever. 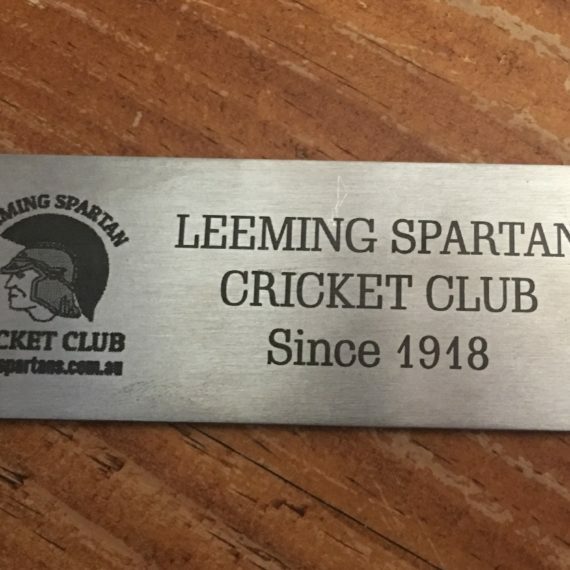 For the first time ever, the Leeming Spartan Cricket Club is offering everyone the opportunity to become a Gold Social Member. 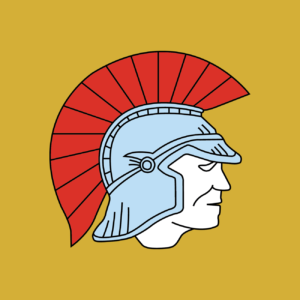 This is exactly what it says on the tin – you don’t need to be an actual player to be a member of the Spartan army! Not only that, but you'll receive some awesome benefits as well! A great way to become a Spartan! For the first time ever, Leeming Spartan Cricket Club offers social membership for players and friends alike! 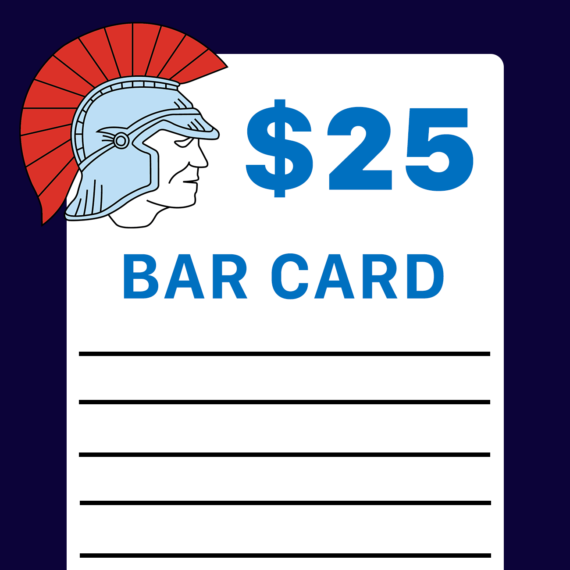 This Spartan Silver Social Membership provides you with a deal of fantastic benefits, including bar cards, merchandise, and more. 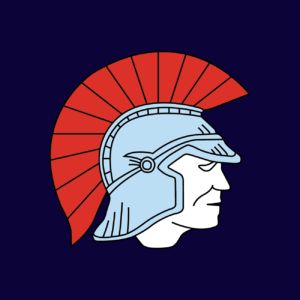 Plus, above all, you'll be an official Leeming Spartan member in our 99th year! A cricket membership minus the cricket. 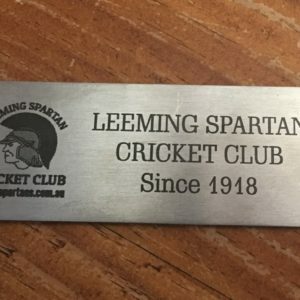 For the first time ever, you don't actually need to be a playing cricketer to be part of the Leeming Spartan Cricket Club! Maybe you've retired, are injured, or perhaps friends or family of a Spartan member. Well then, rejoice! You too are more than welcome to become a Spartan!! Either way, now is the time to become part of the Spartan Army, because with one year to go until our centenary, we're continuing to push the boundaries on what a sports club should be. Quench your thirst sooner than ever. Our famous Spartan Bar Cards are now available to purchase online, where we'll have them ready and waiting for you as soon as you walk into the door! This $25.00 Bar Card is just like those you get from the bar, only now, you can skip the queue and enjoy our cheap $4.00 drinks faster than we can get the bottle top off! Forgot to bring your match day fees on game day? Worry no more – you can now pay for them online, anytime or anywhere. Pay in advance, on game day morning, or when you've already been dismissed and are on umpiring duty! We record your name instantly, so there's also no need to worry about being chased up by the beancounter! Please note that this item is for our active Spartan members playing in our one-day sides (or for an individual week of a two-day game). Simply enter the round number and date in the notes section of the checkout page to ensure the correct day is recorded! To-do today: pay for two-day. Forgot to bring your two-day match day fees on game day? Worry no more – you can now pay for them online, anytime or anywhere. To say our Leeming Spartan Bottle Openers are incredible is an understatement. These expertly designed, high-quality bottle openers are a fantastic addition to the Spartan Shop, and allow you to crack open a cold one in style! 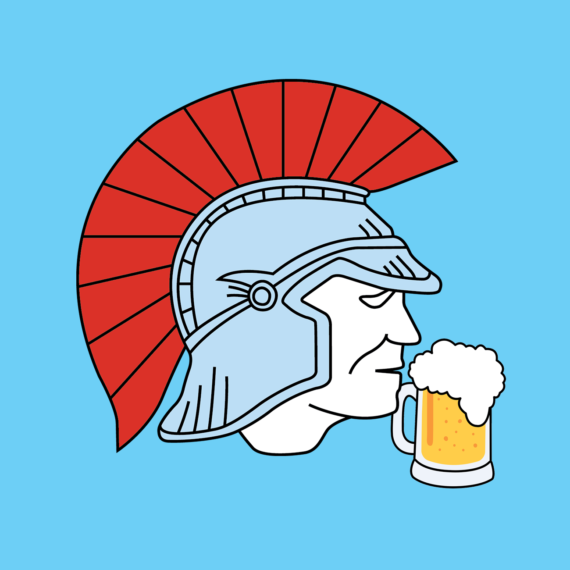 Be the envy of your mates when they come over by using your very own Spartan bottle opener! They even feature our song lyrics on the back! 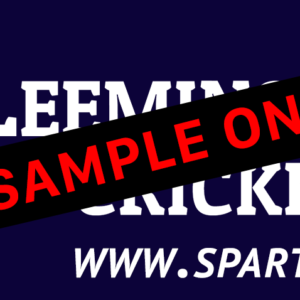 Show your support of the Leeming Spartan Cricket Club beyond match days! Purchase your very own Spartan Bumper Sticker to have the Club with you wherever you go! Plus, it's all but guaranteed to make your car the best one on the road! 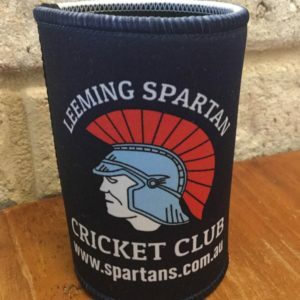 Perhaps unexpectedly, our Leeming Spartan Formal Jacket is one of our most popular clothing items, and despite the fact that cricket is a summer sport, there are plenty of opportunities to sport one at our clubhouse! Stay warm and dry all year round with our fantastic Spartan Formal Jacket, while looking great and supporting our sponsors at the same time. "But, why do we need a jacket during summer?" you ask. Trust us, you'll be using it more often than you think! Cold evenings after training and matches and, the incoming winter months (plus our WinterT20 series), and an increasingly common wet and cold round one (thanks global warming! ), make our Formal Jacket a must have! Look the part off the field. 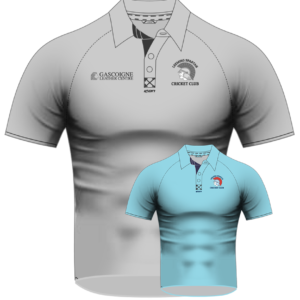 Our fantastically comfortable range of Spartan clothing returns ahead of our 99th season, with our formal shirt once again leading the way! With a great new material, this is the ultimate accessory when it comes to your official Spartan gear. Make yourself look ten years younger with this great piece of Spartan merchandise! 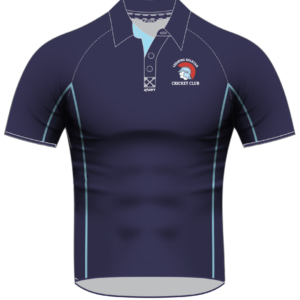 With a variety of sizes, the soft material and navy blue finish go perfectly together, making sure you're comfortable and look better than ever before in a Spartan design! At least you'll look the part! Our Leeming Spartan Match Day Shirt is easily the pick of the association. Our professional and comfortable design, inclusion of sponsor logos, and non-scratch materials means that, come game day, you are ready to rock and roll! Our Match Day Shirt includes an easy-stretch and non-scratch material, ensuring that you are free to run (or jog!) around all day, without ever having to adjust, or even consider, your shirt. 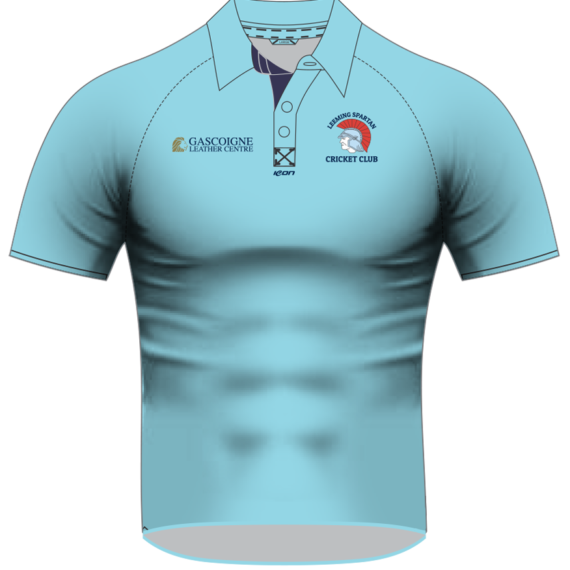 Sublimated (not stitched) sponsor logos add to the comfort, meaning that you don't feel them when moving. It also ensures that they don't fade when washing. Our Leeming Spartan Long Sleeve Match Day Shirts are the perfect accessory for those cold early season matches, or for keeping cool when the heat ramps up! Its professional and comfortable design, inclusion of sponsor logos, and non-scratch materials means that, come game day, you are ready to rock and roll! The Long Sleeve edition of our Spartan Match Day Shirt is designed exactly the same way as its shorter brethren, with the same materials and comfort, but with long sleeves! Training never looked so good. 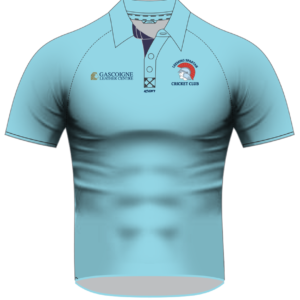 Our Leeming Spartan Training Shirt remains our most popular piece of clothing, and it truly is the ideal way to flaunt your Spartan membership! Incredibly comfortable, it's easy-stretch material allows you to turn back the clock, and train at your best every Tuesday and Thursday afternoon! Still longer than the average Spartan innings! Our Leeming Spartan Training Shorts allow you to train in comfort and be ready and raring to go come 5:00pm every Tuesday and Thursday! They really are a great quality pair of shorts, with two pockets, and air vents at the base to help keep you cool, making our Spartan Training Shorts a fantastic and essential piece of our merchandise! Spartan Training Shorts are made from an extremely comfortable soft material, that stretches easily, and looks great with its Spartan navy-blue colouring and sky blue piping that matches perfectly with our training shirts and formal shirts! 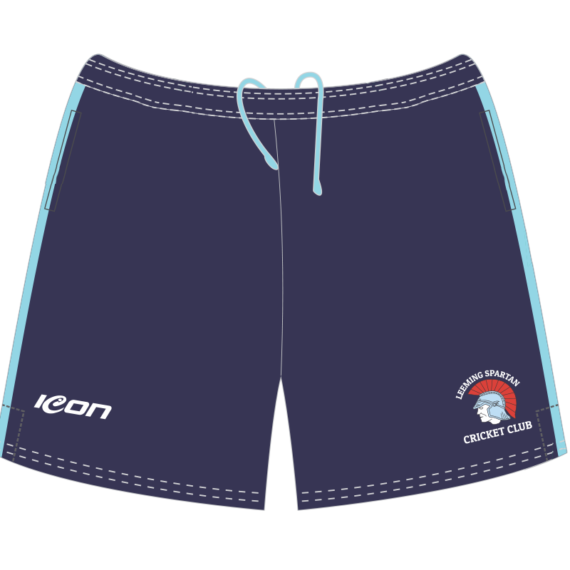 Our Spartan Training Shorts are a compulsory part of our training kit, alongside our light blue training shirt. A must for every Spartan. 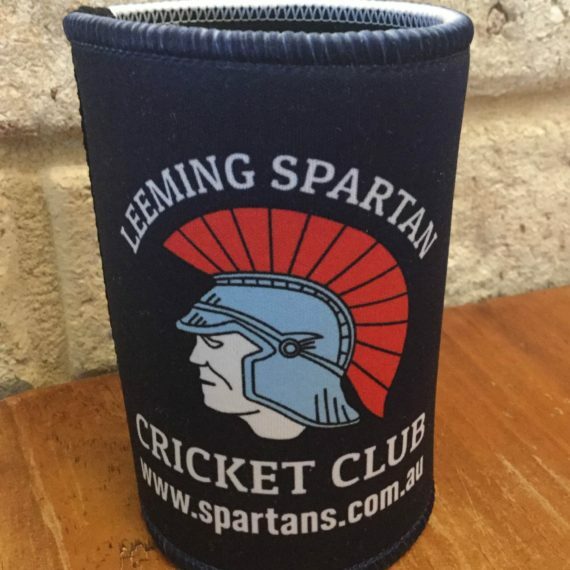 Our Leeming Spartan Stubby Holders really are the perfect accessory for your drink! 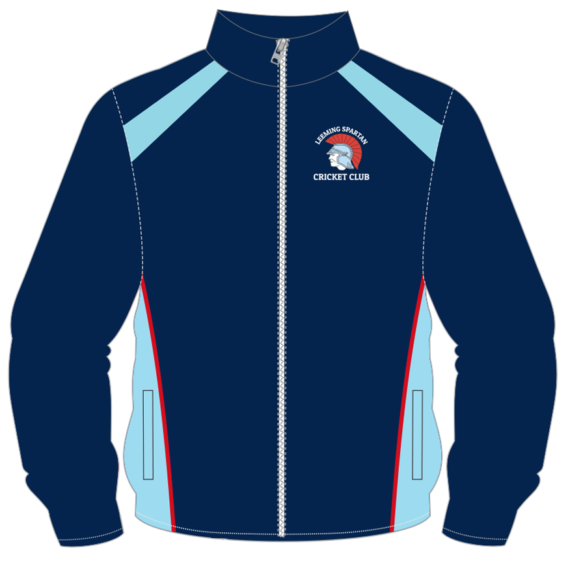 Our fantastic new design makes this the perfect piece of Spartan merchandise, made to the greatest standard with premium scuba-suit materials, making this an outstanding accessory for all Club members and friends. Tested with computer mice only. 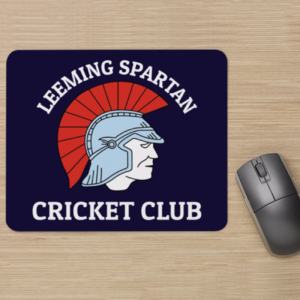 Professional and practical, Leeming Spartan mousepads add a Spartan touch to your office! Made from a great material with dye-sublimation printing and a smoother feel, they are built to last and look incredible! Works with every type of mouse, or even as a beer coaster (probably)!